Syrian rebels, Al-Qaida link: Israel border crossing reportedly taken. 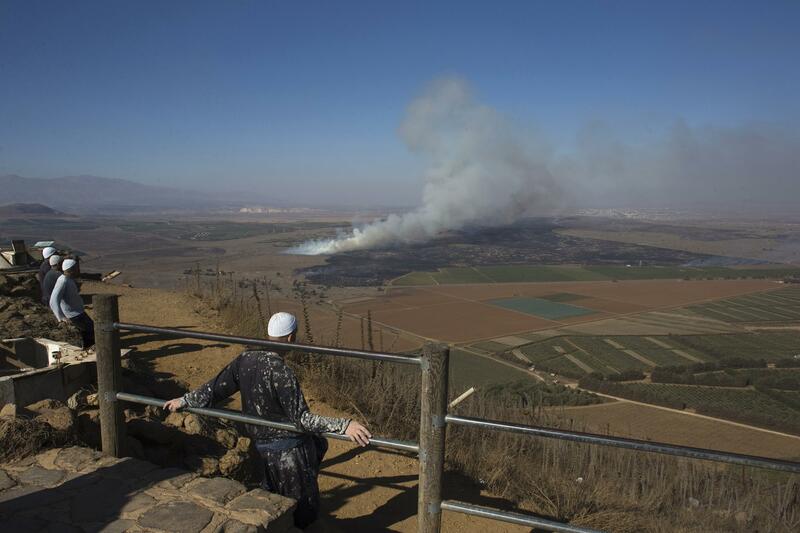 Smoke rises on the Israeli side of the border in a photo taken today. The Britain-based Syrian Observatory for Human Rights said an array of rebel fighters, including from the al-Qaida-linked Nusra Front and the Western-backed Free Syrian Army, took the crossing after heavy fighting that left at least 20 Syrian soldiers and an unknown number of rebels dead. A representative for the Western-backed rebel faction says his group has no interest in attacking Israel. One Israeli officer was injured by errant fire, Israel says, and its forces responded by firing at Syrian government positions. The crossing in question is in the Golan Heights, at the edge of an area seized by Israel during the Six-Day War in 1967 and claimed unilaterally in 1981. The border line is not officially recognized internationally, but is monitored by U.N. forces.